The Tofu block is an organic product, a truly basic product for the vegetarian kitchen. 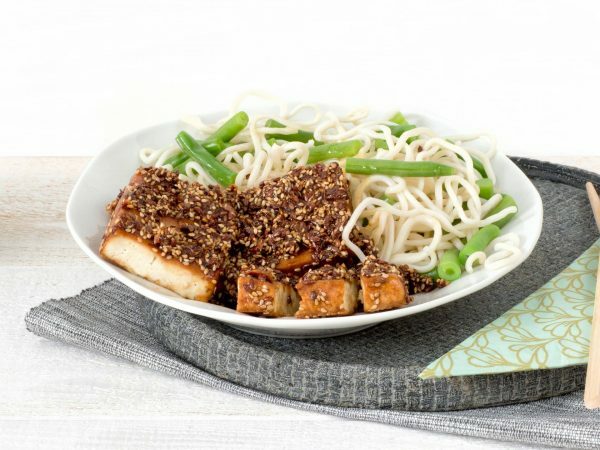 This vegan Tofu is neutral in taste and is suitable for vegans. Water, soybeans 35%*, vegan rennet (calcium sulphate). *Of biological origin. Frying pan or wok: Chop the Tofu Block into cubes. Heat butter and/or (olive) oil and fry the cubes for 3 minutes on moderate heat. You can season the tofu with salt, spices, herbs, sambal, soy sauce or tomato puree.